Join us for our next Skal Philadelphia Reception at Sonesta Philadelphia Rittenhouse Square 1800 Market Street Art Bar on April 23rd, 2019 5:30pm – 7:00pm. Michael Jasinnas, ArtBar Assistant Manager is planning a very special night of enjoyment. 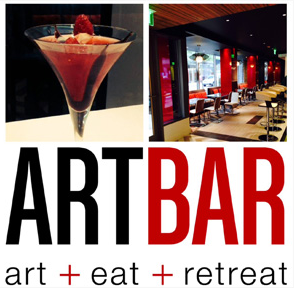 ArtBar provides a unique cocktail and dining experience art-infused cocktails and an updated menu featuring evening small, shared & sweet plates. As featured in USA Today and Philadelphia Style Magazine, ArtBar is the perfect spot for guests and locals to sip, dine and mingle in a fresh and contemporary space, located in the lobby level of the Sonesta Philadelphia Rittenhouse Square. Please RSVP to Amy Bendekovits at amy.bendekovits@gmail.com by Thursday April 18th.